Written records of the history of China can be found from as early as 1200 BC under the Shang dynasty (c. 1600–1046 BC). Ancient historical texts such as the Records of the Grand Historian (ca. 100 BC) and the Bamboo Annals describe a Xia dynasty (c. 2070–1600 BC), which had no system of writing on a durable medium, before the Shang. The Yellow River is said to be the cradle of Chinese civilization, although cultures originated at various regional centers along both the Yellow River and the Yangtze River valleys millennia ago in the Neolithic era. With thousands of years of continuous history, China is one of the world's oldest civilizations. Much of Chinese culture, literature and philosophy further developed during the Zhou dynasty (1046–256 BC). The Zhou dynasty began to bow to external and internal pressures in the 8th century BC, and the kingdom eventually broke apart into smaller states, beginning in the Spring and Autumn period and reaching full expression in the Warring States period. This is one of multiple periods of failed statehood in Chinese history, the most recent being the Chinese Civil War that started in 1927. Between eras of multiple kingdoms and warlordism, Chinese dynasties have ruled parts or all of China; in some eras control stretched as far as Xinjiang and Tibet, as at present. In 221 BC Qin Shi Huang united the various warring kingdoms and created for himself the title of "emperor" (huangdi) of the Qin dynasty, marking the beginning of imperial China. Successive dynasties developed bureaucratic systems that enabled the emperor to control vast territories directly. China's last dynasty was the Qing (1644–1912), which was replaced by the Republic of China in 1912, and in the mainland by the People's Republic of China in 1949. The conventional view of Chinese history is that of alternating periods of political unity and disunity, with China occasionally being dominated by steppe peoples, most of whom were in turn assimilated into the Han Chinese population. Cultural and political influences from other parts of Asia and the Western world, carried by successive waves of immigration, expansion, foreign contact, and cultural assimilation are part of the modern culture of China. What is now China was inhabited by Homo erectus more than a million years ago. Recent study shows that the stone tools found at Xiaochangliang site are magnetostratigraphically dated to 1.36 million years ago. The archaeological site of Xihoudu in Shanxi Province is the earliest recorded use of fire by Homo erectus, which is dated 1.27 million years ago. 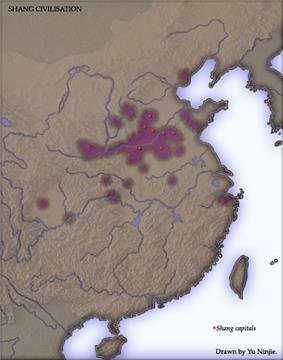 The excavations at Yuanmou and later Lantian show early habitation. Perhaps the most famous specimen of Homo erectus found in China is the so-called Peking Man discovered in 1923–27. Fossilised teeth of Homo sapiens dating to 125,000–80,000 BCE have been discovered in Fuyan Cave in Dao County in Hunan. Early evidence for proto-Chinese millet agriculture is radiocarbon-dated to about 7000 BC. Farming gave rise to the Jiahu culture (7000 to 5800 BC). At Damaidi in Ningxia, 3,172 cliff carvings dating to 6000–5000 BC have been discovered, "featuring 8,453 individual characters such as the sun, moon, stars, gods and scenes of hunting or grazing." These pictographs are reputed to be similar to the earliest characters confirmed to be written Chinese. Excavation of a Peiligang culture site in Xinzheng county, Henan, found a community that flourished in 5,500–4,900 BC, with evidence of agriculture, constructed buildings, pottery, and burial of the dead. With agriculture came increased population, the ability to store and redistribute crops, and the potential to support specialist craftsmen and administrators. 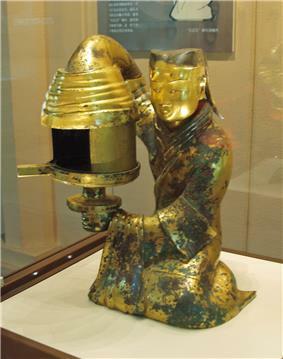 In late Neolithic times, the Yellow River valley began to establish itself as a center of Yangshao culture (5000 BC to 3000 BC), and the first villages were founded; the most archaeologically significant of these was found at Banpo, Xi'an. Later, Yangshao culture was superseded by the Longshan culture, which was also centered on the Yellow River from about 3000 BC to 2000 BC. The early history of China is obscured by the lack of written documents from this period, coupled with the existence of later accounts that attempted to describe events that had occurred several centuries previously. In a sense, the problem stems from centuries of introspection on the part of the Chinese people, which has blurred the distinction between fact and fiction in regards to this early history. Although there is disagreement as to whether the dynasty actually existed, there is some archaeological evidence pointing to its possible existence. Sima Qian, writing in the late 2nd century BC, dated the founding of the Xia dynasty to around 2200 BC, but this date has not been corroborated. 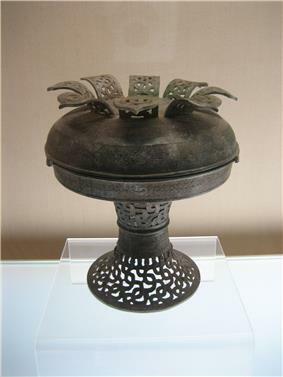 Most archaeologists now connect the Xia to excavations at Erlitou in central Henan province, where a bronze smelter from around 2000 BC was unearthed. Early markings from this period found on pottery and shells are thought to be ancestral to modern Chinese characters. With few clear records matching the Shang oracle bones or the Zhou bronze vessel writings, the Xia era remains poorly understood. According to mythology, the dynasty ended around 1600 BC as a consequence of the Battle of Mingtiao. Archaeological findings providing evidence for the existence of the Shang dynasty, c. 1600–1046 BC, are divided into two sets. 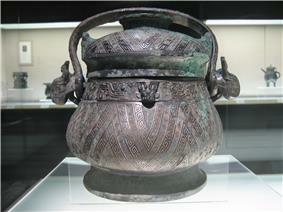 The first set – from the earlier Shang period – comes from sources at Erligang, Zhengzhou, and Shangcheng. The second set – from the later Shang or Yin (殷) period – is at Anyang, in modern-day Henan, which has been confirmed as the last of the Shang's nine capitals (c. 1300–1046 BC). The findings at Anyang include the earliest written record of Chinese past so far discovered: inscriptions of divination records in ancient Chinese writing on the bones or shells of animals – the so-called "oracle bones", dating from around 1200 BC. 31 Kings reined over the Shang dynasty. During their rein, according to the Records of the Grand Historian, the capital city was moved six times. The final (and most important) move was to Yin in 1350 BC which led to the dynasty's golden age. The term Yin dynasty has been synonymous with the Shang dynasty in history, although it has lately been used to specifically refer to the latter half of the Shang dynasty. Chinese historians living in later periods were accustomed to the notion of one dynasty succeeding another, but the actual political situation in early China is known to have been much more complicated. Hence, as some scholars of China suggest, the Xia and the Shang can possibly refer to political entities that existed concurrently, just as the early Zhou is known to have existed at the same time as the Shang. 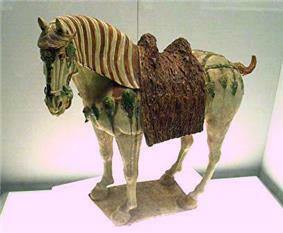 The Zhou dynasty was the longest-lasting dynasty in Chinese history, from 1066 BC to approximately 256 BC. By the end of the 2nd millennium BC, the Zhou dynasty began to emerge in the Yellow River valley, overrunning the territory of the Shang. The Zhou appeared to have begun their rule under a semi-feudal system. The Zhou lived west of the Shang, and the Zhou leader had been appointed "Western Protector" by the Shang. The ruler of the Zhou, King Wu, with the assistance of his brother, the Duke of Zhou, as regent, managed to defeat the Shang at the Battle of Muye. The king of Zhou at this time invoked the concept of the Mandate of Heaven to legitimize his rule, a concept that would be influential for almost every succeeding dynasty. Like Shangdi, Heaven (tian) ruled over all the other gods, and it decided who would rule China. It was believed that a ruler had lost the Mandate of Heaven when natural disasters occurred in great number, and when, more realistically, the sovereign had apparently lost his concern for the people. In response, the royal house would be overthrown, and a new house would rule, having been granted the Mandate of Heaven. The Hundred Schools of Thought of Chinese philosophy blossomed during this period, and such influential intellectual movements as Confucianism, Taoism, Legalism and Mohism were founded, partly in response to the changing political world. Historians often refer to the period from Qin dynasty to the end of Qing dynasty as Imperial China. Though the unified reign of the First Qin Emperor lasted only 12 years, he managed to subdue great parts of what constitutes the core of the Han Chinese homeland and to unite them under a tightly centralized Legalist government seated at Xianyang (close to modern Xi'an). The doctrine of Legalism that guided the Qin emphasized strict adherence to a legal code and the absolute power of the emperor. This philosophy, while effective for expanding the empire in a military fashion, proved unworkable for governing it in peacetime. The Qin Emperor presided over the brutal silencing of political opposition, including the event known as the burning of books and burying of scholars. This would be the impetus behind the later Han synthesis incorporating the more moderate schools of political governance. Construction of the Great Wall of China, still extant and now a UNESCO World Heritage Site, started during the Qin dynasty; it was later augmented and improved during the Ming dynasty. The other major contributions of the Qin include the concept of a centralized government, the unification of the legal code, development of the written language, measurement, and currency of China after the tribulations of the Spring and Autumn and Warring States periods. Even something as basic as the length of axles for carts—which need to match ruts in the roads—had to be made uniform to ensure a viable trading system throughout the empire. The Han dynasty was founded by Liu Bang, who emerged victorious in the civil war that followed the collapse of the unified but short-lived Qin dynasty. A golden age in Chinese history, the Han dynasty's long period of stability and prosperity consolidated the foundation of China as a unified state under a central imperial bureaucracy, which was to last intermittently for most of the next two millennium. 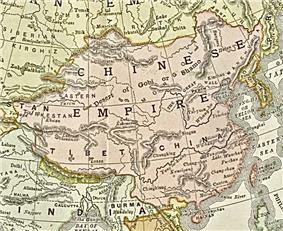 During the Han dynasty, territory of China was extended to most of the China proper and to areas far west. Confucianism was officially elevated to orthodox status and was to shape the subsequent Chinese Civilization. Art, culture and science all advanced to unprecedented heights. With the profound and lasting impacts of this period of Chinese history, the dynasty name "Han" had been taken as the name of the Chinese people, now the dominant ethnic group in modern China, and had been commonly used to refer to Chinese language and written characters. After the initial Laissez-faire policies of Emperors Wen and Jing, the ambitious Emperor Wu brought the empire to its zenith. To consolidate his power, Confucianism, which emphasizes stability and order in a well-structured society, was given exclusive patronage to be the guiding philosophical thoughts and moral principles of the empire. Imperial Universities were established to support its study and further development, while other schools of thoughts were discouraged. The Eastern Han dynasty was one of the most prolific era of science and technology in ancient China, notably the historic invention of papermaking by Cai Lun, and the numerous contributions by the polymath Zhang Heng. In 280, the Jin dynasty reunified the country, but this union was short-lived. The Jin Dynasty was severely weakened by interceine fighting among imperial princes and lost control of northern China after non-Han Chinese settlers rebelled and captured Luoyang and Chang’an. In 317, a Jin prince in modern-day Nanjing became emperor and continued the dynasty, now known as the Eastern Jin, which held southern China for another century. Prior to this move, historians refer to the Jin dynasty as the Western Jin. A limestone statue of the Bodhisattva, from the Northern Qi dynasty, AD 570, made in what is now modern Henan province. In the early 5th century, China entered a period known as the Southern and Northern Dynasties, in which parallel regimes ruled the northern and southern halves of the country. In the south, the Eastern Jin gave way to the Liu Song, Southern Qi, Liang and finally Chen. Each of these Southern Dynasties were led by Han Chinese ruling families and used Jiankang (modern Nanjing) as the capital. They held off attacks from the north and preserved many aspects of Chinese civilization, while northern barbarian regimes began to sinify. In the north, the last of the Sixteen Kingdoms was extinguished in 439 by the Northern Wei, a kingdom founded by the Xianbei, a nomadic people who unified northern China. The Northern Wei eventually split into the Eastern and Western Wei, which then became the Northern Qi and Northern Zhou. These regimes were dominated by Xianbei or Han Chinese who had married into Xianbei families. Despite the division of the country, Buddhism spread throughout the land. In southern China, fierce debates about whether Buddhism should be allowed were held frequently by the royal court and nobles. Finally, towards the end of the Southern and Northern Dynasties era, Buddhists and Taoists reached a compromise and became more tolerant of each other. In 589, the Sui dynasty united China once again, ending a prolonged period of division in Chinese history. In the nearly four centuries between the Han and Sui dynasties, the country was united for only 24 years during the Western Jin. The Sui dynasty, which lasted 29 years, played a role more important than its length of existence would suggest. The Sui brought China together again and set up many institutions that were to be adopted by their successors, the Tang. These included the government system of Three Departments and Six Ministries, standard coinage, improved defense and expansion of the Great Wall, and official support for Buddhism. Like the Qin, however, the Sui overused their resources and collapsed. 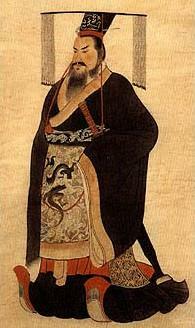 The Tang dynasty was founded by Emperor Gaozu on 18 June 618. It was a golden age of Chinese civilization with significant developments in art, literature, particularly poetry, and technology. Buddhism became the predominant religion for common people. Chang'an (modern Xi'an), the national capital, was the largest city in the world of its time. The second emperor, Taizong, started military campaigns to eliminate threats from nomadic tribes, extend the border, and submit neighboring states into a tributary system. Military victories in the Tarim Basin kept the Silk Road open, connecting Chang'an to Central Asia and areas far to the west. In the south, lucrative maritime trade routes began from port cities such as Guangzhou. There was extensive trade with distant foreign countries, and many foreign merchants settled in China, encouraging a cosmopolitan culture. The Tang culture and social systems were observed and imitated by neighboring countries such as Japan. Internally the Grand Canal linked the political heartland in Chang'an to the economic and agricultural centers in the eastern and southern parts of the empire. The dynasty continued to flourish under Empress Wu Zetian, the only empress regnant in Chinese history, and reached its zenith during the reign of Emperor Xuanzong, who oversaw an empire that stretched from the Pacific to the Aral Sea with at least 50 million people. At the zenith of prosperity of the empire, the An Lushan Rebellion from 755 to 763 was a watershed event that devastated the population and drastically weakened the central imperial government. Regional military governors, known as Jiedushi, gained increasingly autonomous status while formerly submissive states raided the empire. Nevertheless, after the An Lushan Rebellion, the Tang civil society recovered and thrived amidst the weakened imperial bureaucracy. From about 860, the Tang dynasty declined due to a series of rebellions within China itself and in the former subject Kingdom of Nanzhao to the south. One warlord, Huang Chao, captured Guangzhou in 879, killing most of the 200,000 inhabitants, including most of the large colony of foreign merchant families there. In late 880, Luoyang surrendered to Huang Chao, and on 5 January 881 he conquered Chang'an. The emperor Xizong fled to Chengdu, and Huang established a new temporary regime which was eventually destroyed by Tang forces. Another time of political chaos followed. The period of political disunity between the Tang and the Song, known as the Five Dynasties and Ten Kingdoms period, lasted from 907 to 960. During this half-century, when China was in all respects a multi-state system, five regimes rapidly succeeded one another in control of the old Imperial heartland in northern China. During this same time, sections of southern and western China were occupied by ten, more stable, regimes so the period is also referred to as the Ten Kingdoms. In 960, the Song dynasty gained power over most of China and established its capital in Kaifeng (later known as Bianjing), starting a period of economic prosperity, while the Khitan Liao dynasty ruled over Manchuria, present-day Mongolia, and parts of Northern China. In 1115, the Jurchen Jin dynasty emerged to prominence, annihilating the Liao dynasty in 10 years. Meanwhile, in what are now the northwestern Chinese provinces of Gansu, Shaanxi, and Ningxia, a Western Xia dynasty emerged from 1032 to 1227, established by Tangut tribes. The Jin dynasty took power and conquered northern China in the Jin–Song Wars, capturing Kaifeng from the Song dynasty, which moved its capital to Hangzhou (杭州). The Southern Song dynasty had to acknowledge the Jin dynasty as formal overlords. In the ensuing years, China was divided between the Song dynasty, the Jin dynasty and the Tangut Western Xia. Southern Song experienced a period of great technological development which can be explained in part by the military pressure that it felt from the north. This included the use of gunpowder weapons, which played a large role in the Song dynasty naval victories against the Jin in the Battle of Tangdao and Battle of Caishi on the Yangtze River in 1161. China's first permanent standing navy was assembled and provided an admiral's office at Dinghai in 1132, under the reign of Emperor Renzong of Song. The Song dynasty is considered by many to be classical China's high point in science and technology, with innovative scholar-officials such as Su Song (1020–1101) and Shen Kuo (1031–1095). There was court intrigue between the political rivals of the Reformers and Conservatives, led by the chancellors Wang Anshi and Sima Guang, respectively. By the mid-to-late 13th century, the Chinese had adopted the dogma of Neo-Confucian philosophy formulated by Zhu Xi. Enormous literary works were compiled during the Song dynasty, such as the historical work of the Zizhi Tongjian ("Comprehensive Mirror to Aid in Government"). 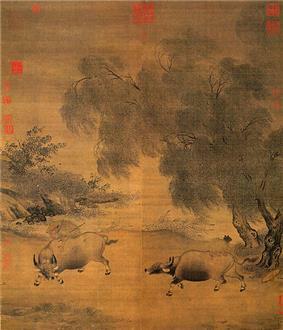 Culture and the arts flourished, with grandiose artworks such as Along the River During the Qingming Festival and Eighteen Songs of a Nomad Flute, along with great Buddhist painters such as the prolific Lin Tinggui. The Jurchen-founded Jin dynasty was defeated by the Mongols, who then proceeded to defeat the Southern Song in a long and bloody war, the first war in which firearms played an important role. During the era after the war, later called the Pax Mongolica, adventurous Westerners such as Marco Polo travelled all the way to China and brought the first reports of its wonders to Europe. In the Yuan dynasty, the Mongols were divided between those who wanted to remain based in the steppes and those who wished to adopt the customs of the Chinese. 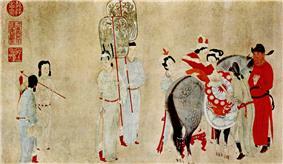 Kublai Khan, grandson of Genghis Khan, wanting to adopt the customs of China, established the Yuan dynasty. This was the first dynasty to rule the whole of China from Beijing as the capital. Beijing had been ceded to Liao in AD 938 with the Sixteen Prefectures of Yan Yun. Before that, it had been the capital of the Jin, who did not rule all of China. Before the Mongol invasion, Chinese dynasties reported approximately 120 million inhabitants; after the conquest had been completed in 1279, the 1300 census reported roughly 60 million people. This major decline is not necessarily due only to Mongol killings. Scholars such as Frederick W. Mote argue that the wide drop in numbers reflects an administrative failure to record rather than an actual decrease; others such as plague was the main factor behind the demographic decline during this period. In the 14th century China suffered additional depredations from epidemics of plague, estimated to have killed 25 million people, 30% of the population of China. Throughout the Yuan dynasty, which lasted less than a century, there was relatively strong sentiment among the populace against Mongol rule. The frequent natural disasters since the 1340s finally led to peasant revolts. The Yuan dynasty was eventually overthrown by the Ming dynasty in 1368. Zhu Yuanzhang (the Hongwu Emperor), the founder of the dynasty, laid the foundations for a state interested less in commerce and more in extracting revenues from the agricultural sector. Perhaps because of Zhu's background as a peasant, the Ming economic system emphasized agriculture, unlike that of the Song and the Mongolian dynasties, which relied on traders and merchants for revenue. Neo-feudal landholdings of the Song and Mongol periods were expropriated by the Ming rulers. Land estates were confiscated by the government, fragmented, and rented out. Private slavery was forbidden. Consequently, after the death of the Yongle Emperor, independent peasant landholders predominated in Chinese agriculture. These laws might have paved the way to removing the worst of the poverty during the previous regimes. The dynasty had a strong and complex central government that unified and controlled the empire. The emperor's role became more autocratic, although Zhu Yuanzhang necessarily continued to use what he called the "Grand Secretaries" (内阁) to assist with the immense paperwork of the bureaucracy, including memorials (petitions and recommendations to the throne), imperial edicts in reply, reports of various kinds, and tax records. It was this same bureaucracy that later prevented the Ming government from being able to adapt to changes in society, and eventually led to its decline. The Yongle Emperor strenuously tried to extend China's influence beyond its borders by demanding other rulers send ambassadors to China to present tribute. A large navy was built, including four-masted ships displacing 1,500 tons. A standing army of 1 million troops (some estimate as many as 1.9 million ) was created. The Chinese armies conquered Vietnam for around 20 years, while the Chinese fleet sailed the China seas and the Indian Ocean, cruising as far as the east coast of Africa. The Chinese gained influence in eastern Moghulistan. Several maritime Asian nations sent envoys with tribute for the Chinese emperor. Domestically, the Grand Canal was expanded and became a stimulus to domestic trade. Over 100,000 tons of iron per year were produced. Many books were printed using movable type. The imperial palace in Beijing's Forbidden City reached its current splendor. It was also during these centuries that the potential of south China came to be fully exploited. 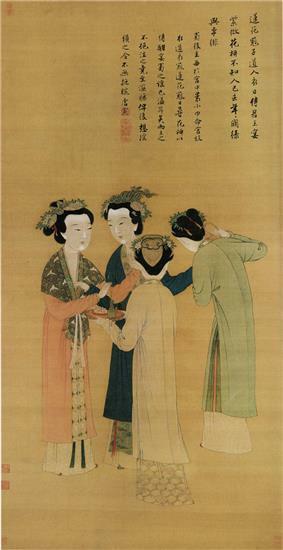 New crops were widely cultivated and industries such as those producing porcelain and textiles flourished. In 1449 Esen Tayisi led an Oirat Mongol invasion of northern China which culminated in the capture of the Zhengtong Emperor at Tumu. In 1521, Ming dynasty naval forces fought and repulsed Portuguese ships at Tuen Mun and again fought off the Portuguese in 1522. In 1542 the Mongol leader, Altan Khan, began to harass China along the northern border, reaching the outskirts of Beijing in 1550. The empire also had to deal with wokou pirates attacking the southeastern coastline; General Qi Jiguang was instrumental in their defeat. In 1556, during the rule of the Jiajing Emperor, the Shaanxi earthquake killed about 830,000 people, the deadliest earthquake of all time. During the Ming dynasty, the last construction on the Great Wall was undertaken to protect China from foreign invasions. Most of what remains of the Wall in modern times was either built or repaired by the Ming. The brick and granite work was enlarged, the watch towers were redesigned, and cannons were placed along its length. China defeated the Dutch in the Sino–Dutch conflicts in 1622–1624 over the Penghu islands and again defeated the Dutch at the Battle of Liaoluo Bay in 1633. The Ming loyalist Koxinga (Zheng Chenggong) defeated the Dutch in the Siege of Fort Zeelandia in Taiwan in 1662. The reception of the Diplomatique (Macartney) and his suite, at the Court of Pekin, drawn and engraved by James Gillray (published September 1792). The Qing dynasty (1644–1911) was the last imperial dynasty in China. Founded by the Manchus, it was the second non-Han Chinese dynasty to rule all over Chinese territory. The Manchus were formerly known as Jurchens, residing in the northeastern part of the Ming territory outside the Great Wall. They emerged as the major threat to the late Ming dynasty after Nurhaci united all Jurchen tribes and established an independent state. However, the Ming dynasty would be overthrown by Li Zicheng's peasants rebellion, with Beijing captured in 1644 and the Chongzhen Emperor, the last Ming emperor, committing suicide. The Manchus allied with the former Ming general Wu Sangui to seize Beijing, which was made the capital of the Qing dynasty, and then proceeded to subdue the Ming remnants in the south. The decades of Manchu conquest caused enormous loss of lives and the economic scale of China shrank drastically. In total, the Qing conquest of the Ming (1618–1683) cost as many as 25 million lives. Nevertheless, the Manchus adopted the Confucian norms of traditional Chinese government in their rule and were considered a Chinese dynasty. Internally the Taiping Rebellion (1851–1864), a quasi-Christian religious movement led by the "Heavenly King" Hong Xiuquan, raided roughly a third of Chinese territory for over a decade until they were finally crushed in the Third Battle of Nanking in 1864. This was one of the largest wars in the 19th century in terms of troop involvement; there was massive loss of life, with a death toll of about 20 million. A string of civil disturbances followed, including the Punti–Hakka Clan Wars, Nian Rebellion, Dungan Revolt, and Panthay Rebellion. All rebellions were ultimately put down, but at enormous cost and with many casualties, seriously weakening the central imperial authority. The Banner system that the Manchus had relied upon for so long failed: Banner forces were unable to suppress the rebels, and the government called upon local officials in the provinces, who raised "New Armies", which successfully crushed the challenges to Qing authority. China never rebuilt a strong central army, and many local officials became warlords who used military power to effectively rule independently in their provinces. Frustrated by the Qing court's resistance to reform and by China's weakness, young officials, military officers, and students began to advocate the overthrow of the Qing dynasty and the creation of a republic. They were inspired by the revolutionary ideas of Sun Yat-sen. A revolutionary military uprising, the Wuchang Uprising, began on 10 October 1911, in Wuhan. The provisional government of the Republic of China was formed in Nanjing on 12 March 1912. The Xinhai Revolution ended 2,000 years of dynastic rule in China. 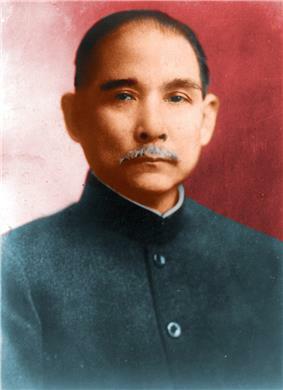 After the success of the overthrow of the Qing Dynasty, Sun Yat-sen was declared President, but Sun was forced to turn power over to Yuan Shikai, who commanded the New Army and was Prime Minister under the Qing government, as part of the agreement to let the last Qing monarch abdicate (a decision Sun would later regret). Over the next few years, Yuan proceeded to abolish the national and provincial assemblies, and declared himself emperor in late 1915. 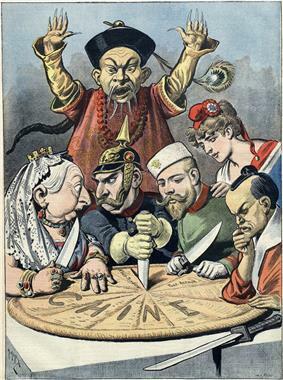 Yuan's imperial ambitions were fiercely opposed by his subordinates; faced with the prospect of rebellion, he abdicated in March 1916, and died in June of that year. "Nationalism, patriotism, progress, science, democracy, and freedom were the goals; imperialism, feudalism, warlordism, autocracy, patriarchy, and blind adherence to tradition where the enemies. Intellectuals struggled with how to be strong and modern and yet Chinese, how to preserve China as a political entity in the world of competing nations." The discrediting of liberal Western philosophy amongst leftist Chinese intellectuals led to more radical lines of thought inspired by the Russian Revolution, and supported by agents of the Comintern sent to China by Moscow. This created the seeds for the irreconcilable conflict between the left and right in China that would dominate Chinese history for the rest of the century. In the 1920s, Sun Yat-sen established a revolutionary base in south China, and set out to unite the fragmented nation. With assistance from the Mao Zedong (Mao Tse-tung). The bitter struggle between the KMT and the CPC continued, openly or clandestinely, through the 14-year-long Japanese occupation of various parts of the country (1931–1945). The two Chinese parties nominally formed a united front to oppose the Japanese in 1937, during the Sino-Japanese War (1937–1945), which became a part of World War II. 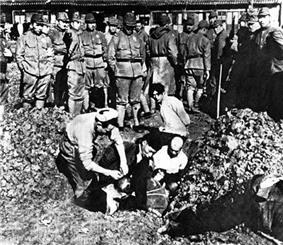 Japanese forces committed numerous war atrocities against the civilian population, including biological warfare (see Unit 731) and the Three Alls Policy (Sankō Sakusen), the three alls being: "Kill All, Burn All and Loot All". Following the defeat of Japan in 1945, the war between the Nationalist government forces and the CPC resumed, after failed attempts at reconciliation and a negotiated settlement. By 1949, the CPC had established control over most of the country (see Chinese Civil War). Westad says the Communists won the Civil War because they made fewer military mistakes than Chiang, and because in his search for a powerful centralized government, Chiang antagonized too many interest groups in China. Furthermore, his party was weakened in the war against the Japanese. Meanwhile, the Communists told different groups, such as peasants, exactly what they wanted to hear, and cloaked themselves in the cover of Chinese Nationalism. During the civil war both the Nationalists and Communists carried out mass atrocities, with millions of non-combatants killed by both sides during the civil war. These included deaths from forced conscription and massacres. 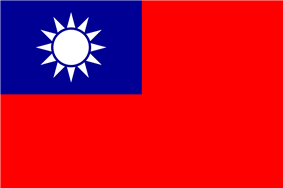 When the Nationalist government forces were defeated by CPC forces in mainland China in 1949, the Nationalist government retreated to Taiwan with its forces, along with Chiang and most of the KMT leadership and a large number of their supporters; the Nationalist government had taken effective control of Taiwan at the end of WWII as part of the overall Japanese surrender, when Japanese troops in Taiwan surrendered to Republic of China troops. Deng Xiaoping was the Paramount Leader of China from 1978 to 1992, although he never became the head of the party or state, and his influence within the Party led the country to significant economic reforms. The Communist Party subsequently loosened governmental control over citizens' personal lives and the communes were disbanded with many peasants receiving multiple land leases, which greatly increased incentives and agricultural production. This turn of events marked China's transition from a planned economy to a mixed economy with an increasingly open market environment, a system termed by some as "market socialism", and officially by the Communist Party of China as "Socialism with Chinese characteristics". The PRC adopted its current constitution on 4 December 1982. In 1989 the death of former general secretary Hu Yaobang helped to spark the Tiananmen Square protests of 1989, during which students and others campaigned for several months, speaking out against corruption and in favour of greater political reform, including democratic rights and freedom of speech. However, they were eventually put down on 4 June when PLA troops and vehicles entered and forcibly cleared the square, with many fatalities. This event was widely reported, and brought worldwide condemnation and sanctions against the government. A filmed incident involving the "tank man" was seen worldwide. CPC general secretary and PRC President World Trade Organization in 2001. Although the PRC needs economic growth to spur its development, the government began to worry that rapid economic growth was degrading the country's resources and environment. Another concern is that certain sectors of society are not sufficiently benefiting from the PRC's economic development; one example of this is the wide gap between urban and rural areas. As a result, under former CPC general secretary and President Hu Jintao and Premier Wen Jiabao, the PRC initiated policies to address issues of equitable distribution of resources, but the outcome was not known as of 2014. More than 40 million farmers were displaced from their land, usually for economic development, contributing to 87,000 demonstrations and riots across China in 2005. For much of the PRC's population, living standards improved very substantially and freedom increased, but political controls remained tight and rural areas poor. ^ a b c "Public Summary Request Of The People's Republic Of China To The Government Of The United States Of America Under Article 9 Of The 1970 Unesco Convention". Bureau of Educational and Cultural Affairs, U.S. State Department. Archived from the original on 15 December 2007. Retrieved 12 January 2008. ^ a b Rixiang Zhu, Zhisheng An, Richard Pott, Kenneth A. Hoffman (June 2003). "Magnetostratigraphic dating of early humans of in China" (PDF). Earth Science Reviews 61 (3–4): 191–361. ^ "Earliest Presence of Humans in Northeast Asia". ^ "'"Fossil teeth place humans in Asia '20,000 years early. ^ "Neolithic Period in China". Timeline of Art History. ^ "'"Chinese writing '8,000 years old. BBC News. 18 May 2007. Retrieved 4 May 2010. ^ "Carvings may rewrite history of Chinese characters". ^ Pringle, Heather (1998). "The Slow Birth of Agriculture". ^ Wertz, Richard R. (2007). "Neolithic and Bronze Age Cultures". Exploring Chinese History. ^ Boltz, William (1999). "Language and Writing". In Loewe, Michael; Shaughnessy, Edward L.
^ Yu, Yingshi (1986). Denis Twitchett; Michael Loewe, eds. Cambridge History of China: Volume I: the Ch'in and Han Empires, 221 B.C. – A.D. 220. University of Cambridge Press. pp. 455–458. ^ Xu, Pingfang (2005). 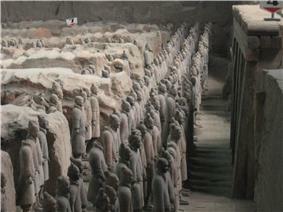 The Formation of Chinese Civilization: An Archaeological Perspective. Yale University Press. p. 281. ^ Gernet, Jacques (1996). A History of Chinese Civilization. Cambridge University Press. pp. 126–127. ^ "Kaifung Jews". University of Cumbria, Division of Religion and Philosophy. ^ Harper, Damsan; Fallon, Steve; Gaskell, Katja; Grundvig, Julie; Heller, Carolyn; Huhti, Thomas; Maynew, Bradley; Pitts, Christopher (2005). Lonely Planet China (9 ed.). ^ Fairbank, J. K.; Goldman, M. (2006). China: A New History (2nd ed.). Harvard University Press. p. 320. ^ Smith, Joseph; and Davis, Simon. (2005). The A to Z of the Cold War. Issue 28 of Historical dictionaries of war, revolution, and civil unrest. Volume 8 of A to Z guides. Scarecrow Press publisher. ISBN 0-8108-5384-1, ISBN 978-0-8108-5384-3. ^ Akbar, Arifa (17 September 2010). "'"Mao's Great Leap Forward 'killed 45 million in four years. London: The Independent. Retrieved 30 October 2010. ^ Hart-Landsberg, Martin; Burkett, Paul (March 2010). "China and Socialism: Market Reforms and Class Struggle". Monthly Review Press. ^ "China: Migrants, Students, Taiwan". Migration News 13 (1). January 2006. ^ Thomas, Antony (11 April 2006). transcript"The Tank Man: Frontline". Frontline. PBS. Retrieved 12 July 2008. Hsü, Immanuel Chung-yueh. The Rise of Modern China, 6th ed. (Oxford University Press, 1999), highly detailed coverage of 1644–1999, in 1136pp. Zhu, Rixiang; Zhisheng An; Richard Potts; Kenneth A. Hoffman. "Magnetostratigraphic dating of early humans in China" (PDF). de Crespigny, Rafe. 1972. The Ch’iang Barbarians and the Empire of Han: A Study in Frontier Policy. Papers on Far Eastern History 16, Australian National University. Canberra. de Crespigny, Rafe (1990). 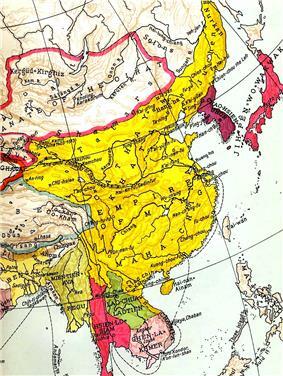 "South China under the Later Han Dynasty". Asian Studies Monographs, New Series No. 16 (Faculty of Asian Studies, The Australian National University, Canberra). Retrieved 23 January 2011.
de Crespigny, Rafe (1996). "Later Han Military Administration: An Outline of the Military Administration of the Later Han Empire". Asian Studies Monographs, New Series No. 21 (Based on the Introduction to Emperor Huan and Emperor Ling being the Chronicle of Later Han for the years 189 to 220 AD as recorded in Chapters 59 to 69 of the Zizhi tongjian of Sima Guang ed.) (Faculty of Asian Studies, The Australian National University). Retrieved 23 January 2011. Hill, John E. (2009) Through the Jade Gate to Rome: A Study of the Silk Routes during the Later Han Dynasty, 1st to 2nd centuries CE. ISBN 978-1-4392-2134-1. Twitchett, Denis and Loewe, Michael, eds. 1986. The Cambridge History of China. Volume I. The Ch’in and Han Empires, 221 B.C. – a.d. 220. Cambridge University Press. de Crespigny, Rafe (1991). "The Three Kingdoms and Western Jin: A History of China in the Third Century AD". East Asian History (Faculty of Asian Studies, Australian National University, Canberra) (1 June 1991, pp. 1–36, & no. 2 December 1991, pp. 143–164). Retrieved 23 January 2011. Wright, Arthur F. 1978. The Sui Dynasty. Alfred A. Knopf, New York. ISBN 0-394-49187-4, ISBN 0-394-32332-7 (pbk). Schafer, Edward H. 1963. The Golden Peaches of Samarkand: A study of T’ang Exotics. University of California Press. Berkeley and Los Angeles. 1st paperback edition. 1985. ISBN 0-520-05462-8. Schafer, Edward H. 1967. The Vermilion Bird: T’ang Images of the South. University of California Press, Berkeley and Los Angeles. Reprint 1985. ISBN 0-520-05462-8. Wang, Zhenping. 1991. "T’ang Maritime Trade Administration." Wang Zhenping. Asia Major, Third Series, Vol. IV, 1991, pp. 7–38. Dreyer, Edward L. China at War, 1901–1949. (1995). 422 pp. Fairbank, John K., ed. The Cambridge History of China, Vol. 12, Republican China 1912–1949. Part 1. (1983). 1001 pp. Davin, Delia (2013). Mao: A Very Short Introduction. Oxford UP. MacFarquhar, Roderick and Fairbank, John K., eds. The Cambridge History of China. Vol. 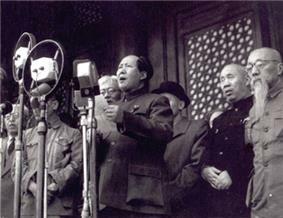 15: The People's Republic, Part 2: Revolutions within the Chinese Revolution, 1966–1982. Cambridge U. Press, 1992. 1108 pp. Meisner, Maurice. Mao's China and After: A History of the People’s Republic, 3rd ed. (Free Press, 1999), dense book with theoretical and political science approach. MacFarquhar, Roderick. The Origins of the Cultural Revolution. Vol. 3: The Coming of the Cataclysm, 1961–1966. (1998). 733 pp. Wilkinson, Endymion, Chinese History: A New Manual, Harvard University, Asia Center (for the Harvard-Yenching Institute), 2013, 1128 (double-column) p., ISBN 978-0-674-06715-8. Supersedes Wilkinson (2000). Wilkinson, Endymion, Chinese history: a manual, (revised and enlarged. Harvard University, Asia Center (for the Harvard-Yenching Institute), 2000, 1181 p., ISBN 0-674-00247-4; ISBN 0-674-00249-0; for specialists. (Chinese) Chinese Database by Academia Sinica. (Chinese) Manuscript and Graphics Database by Academia Sinica. Chinese Text Project, texts and translations of historical Chinese works. Yin Yu Tang: A Chinese Home, an exploration of domestic Chinese architecture during the Qing dynasty. Early Medieval China, an academic journal devoted to the period between the end of the Han and beginning of the Tang eras. Resources for Middle School students (grades 5–9). A history of China by Wolfram Eberhard, [EBook #17695], ISO-8859-1 (7 February 2006). Li (2010). "Evidence that a West-East admixed population lived in the Tarim Basin as early as the early Bronze Age" (PDF). BMC Biology 8 (1).